More than 88 tonnes of food go to waste every year in the EU. Every day restaurants, cafes, and bakeries have excess food that needs to be disposed of. It’s another cost in running a business but also a massive waste of food that, more often than not, is perfectly fine. 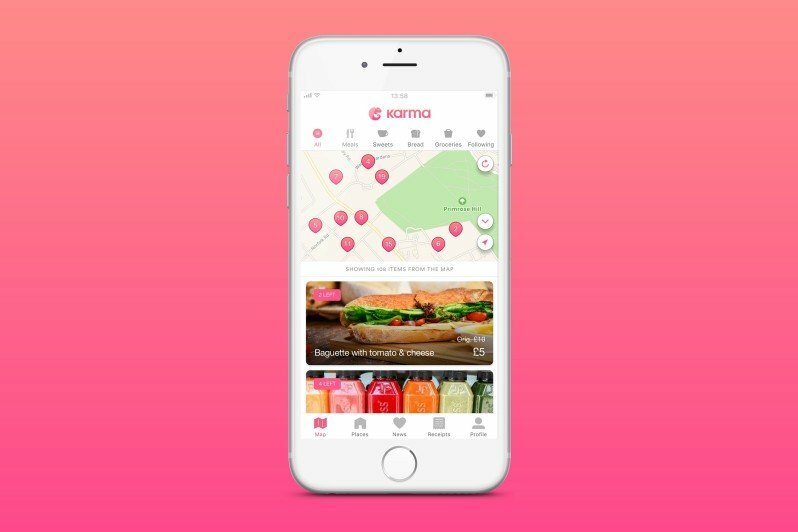 Swedish startup Karma is an app that connects restaurants with nearby users to sell off surplus food. The startup launched in Stockholm in late 2016 after several months of testing and has raised more than €3 million in funding from e.ventures and eEquity. Following its Stockholm launch, it spread to 35 Swedish cities and towns, amassing one thousand restaurants and 250,000 users, re-selling 200,000 means. 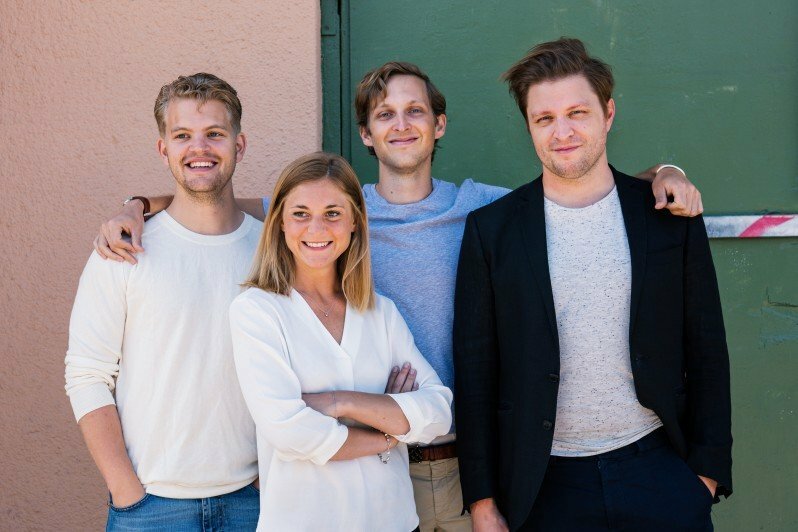 This proved that “restaurants actually have this problem and this is a solution that actually helps them solve it and that consumers on the other side want to use it,” explained COO Elsa Bernadotte, who cofounded the startup with Hjalmar Ståhlberg Nordegren, Ludvig Berling, and Mattis Larsson. Now the startup is launching its service in London, its first market outside of Sweden, where restaurant owners and managers can list a meal on the app that they want to sell. “Once you activate the sale, consumers will get a push notification that there’s great food nearby and then they can purchase the food directly in the app for half the price and then later pick it up at takeaway from the restaurant,” said Bernadotte. All meals must be sold at half the original price or less. Karma serves as an intermediary marketplace so it doesn’t bear any responsibility for the types of food that are sold. Despite its social good focus, Karma is still a business. 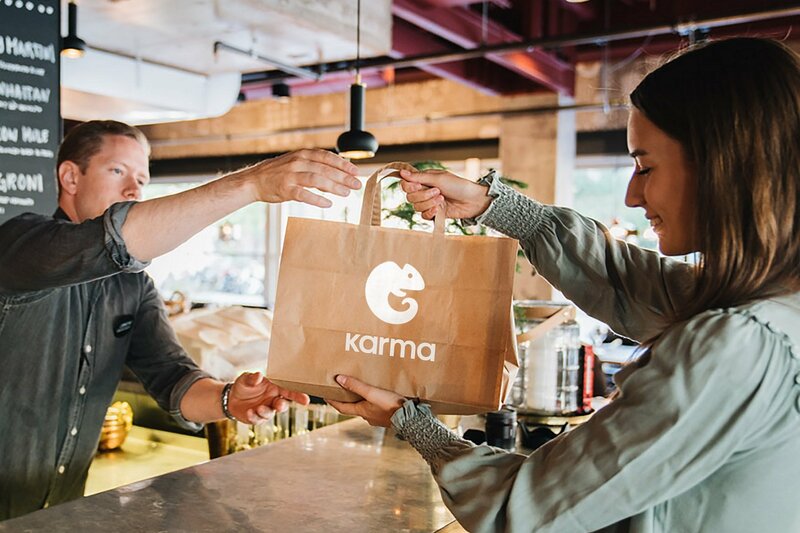 “For a restaurant, it doesn’t cost anything to be in Karma but if you do sell something, we will take a part of that transaction,” said the cofounder. No sale, then no fee, unlike the subscription model. Bernadotte is elusive on revealing how much Karma charges with these transaction fees, saying it can vary a lot – “We haven’t presented the actual numbers because it differs a little bit” – nor has the company disclosed any revenue it’s made so far from the 200,000 meals sold in Sweden. Bernadotte added that there is not a whole lot of competition in the space even though the opportunity is quite significant. “What’s really surprising is we haven’t seen a market leader who’s really gotten a hold of this problem on a global scale so we see that as a huge opportunity,” she remarked. However, there are a couple of players already active in London, where Karma is launching this week, such as OLIO, which raised $2.2 million last year. Ahead of its London launch, Karma has signed up 50 restaurants. This includes H&M’s in-store restaurant Arket, Aquavit, and nine locations from French bistro Aubaine. London, and the UK generally, will be a key market for Karma, said Bernadotte. Launching in a new market isn’t particularly costly for Karma but London will be a good litmus test before further expansion. While the company doesn’t need a physical presence in every market, it will be opening a London office to give this vital market the attention it needs. “I could give you a number but the only thing I know about that is that I’m going to be wrong,” said Bernadotte on targets for the UK market but added that she expects it to grow faster than Sweden.